Canadians can now make contactless purchases with Android Pay (download app here). 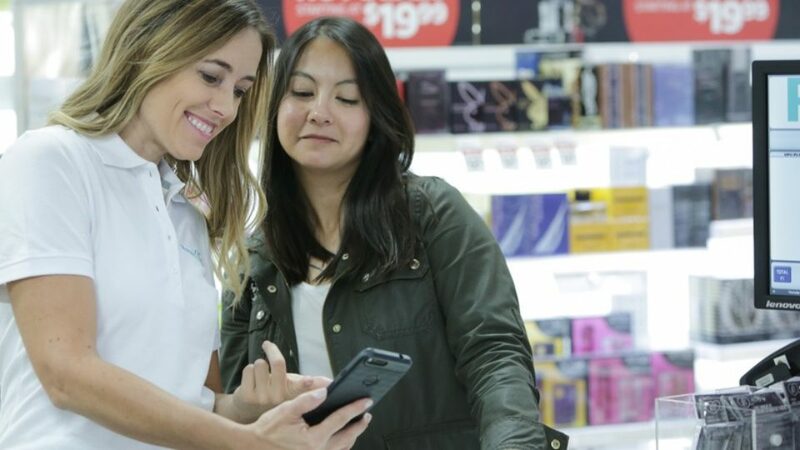 In fact, with just one tap, you can now use your phone to pay securely in at hundreds of thousands of stores and via some of your favorite apps. As a small business owner, mom of an 8-year-old boy, and Scotiabank ambassador, I’m thrilled to use this app to streamline all my purchasing so I can rely on my phone to do all the buying. Moneris, a payments solutions company, invited me to participate in a pay-it-forward campaign at one of their retailers during Android Pay launch week. While at Rexall’s drug store in downtown Toronto, I ambushed shoppers and paid for their purchases (legitimately the most fun gig ever!). 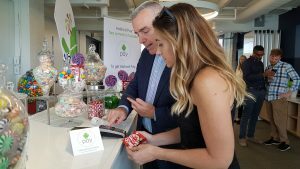 Last Wednesday, I attended the Android Pay launch at Google’s headquarters, where they set up a candy shop so bloggers and journalists could give the technology a try. Needless to say, it worked like a charm (and, most importantly, I received my Kit Kat in a flash without ever opening my wallet!). More than 85 per cent of Moneris merchants have terminals capable of accepting contactless payments such as Android Pay. Also, in terms of Canadian Android user, they now make up about 50 percent of smartphone users in this country. To set up Android Pay, and determine if your phone is compatible, my friends at Mobile Syrup have a thorough how-to guide.